The Sixth Form Resource Area needed to be a bright and modern study and relaxation space for the students. 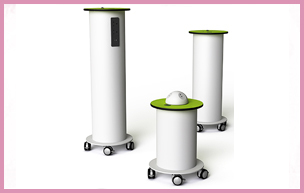 The space needed to be multifunctional and flexible, allowing for a range of ways of studying, with charging solutions for BYOD. 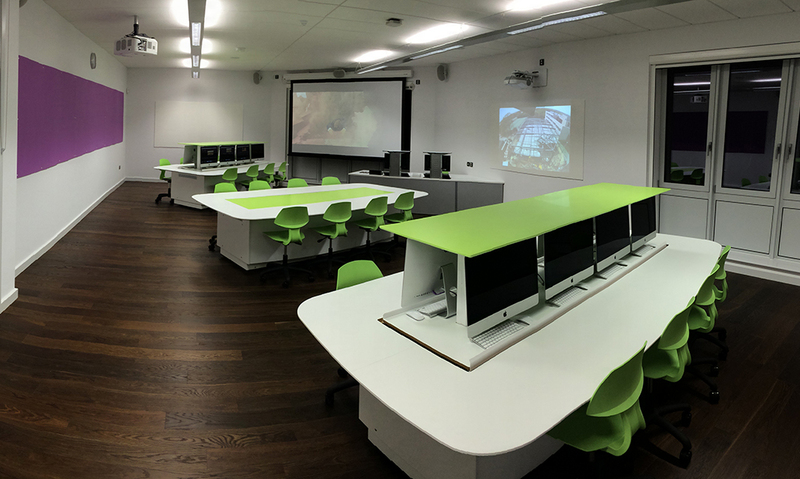 The Media Centre was to be dedicated to Media Studies, a subject where students would be spending a lot of time editing in the room. Therefore, the room needed to be comfortable as well as functional. The room was also to be used for Cinema Club, and so the furniture had to be flexible, whilst also securing the iMacs. 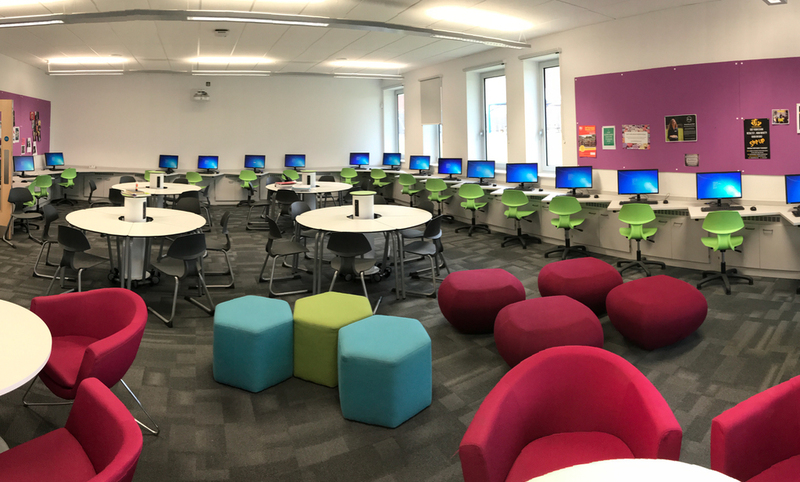 In order to make the most of the space for the Sixth Form area, t41 desks with wired powerHubs were added to the room as part of the study area, with colourful glassboards for collaborative work and to add a splash of colour to the walls. Plenty of soft seating was added, to encourage a relaxed atmosphere with additional tables and tub chairs for comfortable seating. 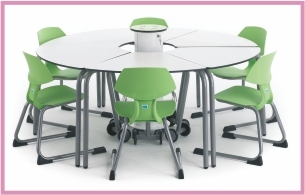 In the media centre, zioxi suggested the use of P8 PowerUp tables and an M1 desk with two screens for the teacher. The beauty of these products is that the computers can be securely hidden and stored within the desk, and brought back up with the simple push of a button.